Number is ... - NEW! 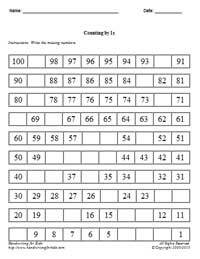 This printable number recognition worksheet generator teaches children to recognize and write numbers and their corresponding words. The worksheet is available in the following languages: English, and Spanish. Coming Soon: French, and Italian! This printable worksheet provides a variety of objects to make the lesson more interesting. 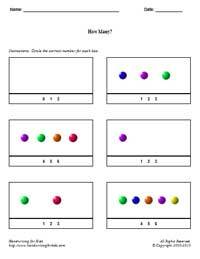 The worksheets objective is to teach children to count how many objects and circle the correct number. The worksheet is available in the following languages: English, French, Italian, and Spanish. View a sample page of "How Many?". Online/Interactive - How Many? - NEW! This interactive/online version of number recognition worksheet provides a variety of objects to make the lesson more interesting. 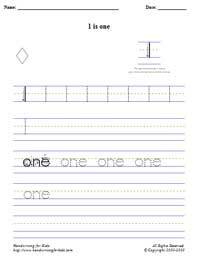 The worksheets objective is to teach children to count how many objects and select the correct number. This online/interactive "How Many" will automatically scored your results in a printable worksheet. The worksheet is available in the following languages: English, French, Italian, and Spanish. How Many? (Number Words) - NEW! This printable worksheet provides a variety of objects to make the lesson more interesting. 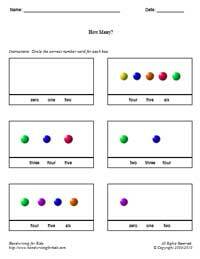 The worksheets objective is to teach children to count how many objects and circle the correct number word. The worksheet is available in the following languages: English, French, Italian, and Spanish. Online/Interactive - How Many? (Number Words) - NEW! 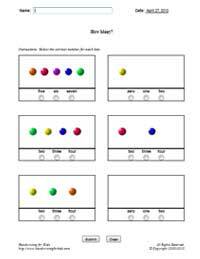 This online/interactive worksheet provides a variety of objects to make the lesson more interesting. 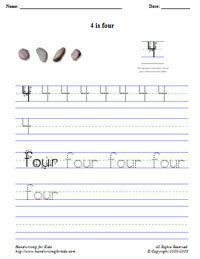 The worksheets objective is to teach children to count how many objects and circle the correct number word. This online/interactive "How Many" will automatically scored your results in a printable worksheet. The worksheet is available in the following languages: English, French, Italian, and Spanish. Counting Patterns / Skip Counting - NEW! 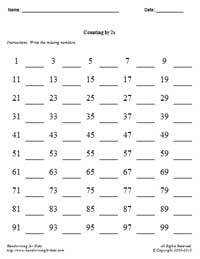 This printable number worksheet maker will create the counting patterns/skip counting of 2s, 3s, 5s, and 10s for the child/children to fill-in the missing numbers. This printable numbers worksheet maker will create the counting patterns / skip counting of 1s, 2s, 3s, 5s, and 10s. It will randomly remove selected numbers based on level of difficulty (easy, medium, or hard) for the child / children to fill-in the missing numbers. 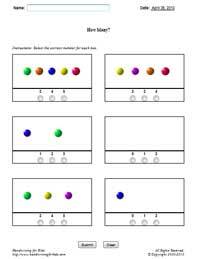 Backward Counting Patterns / Skip Counting - NEW! 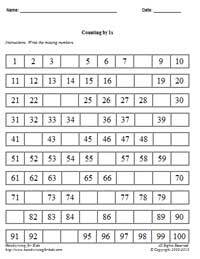 This printable numbers worksheet maker will create the backward counting patterns / skip counting of 1s, 2s, 3s, 5s, and 10s. It will randomly remove selected numbers based on level of difficulty (easy, medium, or hard) for the child / children to fill-in the missing numbers. See how the numbers are formed in Step-by-Step.